No beer has ever tasted so good, and what better place to enjoy one than at our favorite pizza place, Mellow Mushroom. My wife, Kory, had a Michelob Ultra. I had a Blue Moon with a splash of Sprite. We toasted completing the marathon — the culmination of 9 months of training. Just a few years ago I was a total couch potato. I never ran. In fact, I made fun of runners. It all sounded really stupid. That all started to change for me at my wife’s 40th birthday party. A friend of my wife’s started talking about how she was learning to run by listening to a podcast. “You run when he tells you to run and walk when he says to walk,” she explained. “You do this 3 times a week and within 8 weeks you can run 3 miles without stopping.” I figured if my wife’s friend could do it, I could do it. At 39 years old, I gave running a try. First day, I put the ear buds in, got my sneakers on, and I was ready. I was to run for 2 minutes and walk for 3 minutes. After running just those first 2 minutes, I was breathing so hard I thought I was going to exhale a lung. It got easier and my runs got longer. Now 4 1/2 years later, at 43 years old, I’ve completed my second marathon. The first 20 miles of the marathon were great. The marathon was an awesome 20 miles. The miles flew by. Unfortunately for me, a marathon is 26 miles long. Those final six miles were a nightmare. My muscles hurt and everything in my body was telling me to stop, rest, and sleep. It was a lot harder than I expected. 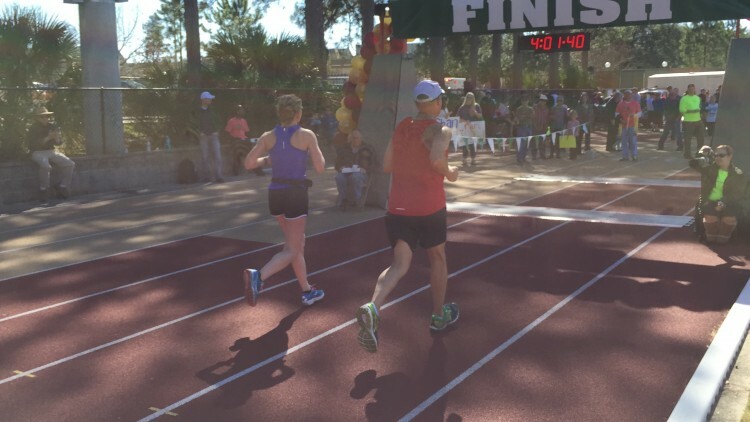 As I crossed the finish line of this last marathon, instead of feeling elated, I found myself disappointed. I felt like I’d let myself down. My goal was to complete the race within 3 hours and 45 minutes. Then, during the race, I’d seen some guys who had shirts that said they were part of the “3:30 club.” I thought, “Wow, those guys have shirts. I can keep up with them and be part of that club too.” It was a good thought, but I could only keep up for 20 miles. Now, I’m getting shirts that say “I’m a member of the 4:03 club.” Let me know if I can order one for you. This reminds me a lot of the work I do with my clients. When we start talking about the impact we want to have, we pick a number that describes how many new customers we want to get. It used to be that if we don’t hit that number, we’d become disappointed. In more recent years, I’ve learned to take a different approach. Today, I know it’s critical to focus on the greater accomplishment. With each of our new members, we get paid to help them. Many of our new members are able to accomplish things and solve problems they thought were impossible just a few months before. Whether it’s with a beer at Mellow Mushroom or in some other way, take time to celebrate your accomplishments. Release the arbitrary numbers you set and never compare yourself to others. Be part of your own club — a club of achievement and a club that celebrates your victories.